Lanore McIlvrae has been on the run from Adair for hundreds of years, dismayed by his mysterious powers and afraid of his temper. She betrayed Adair's trust and imprisoned him behind a stone wall to save Jonathan, the love of her life. When Adair was freed 200 years later, she was sure that he would find her and make her existence a living hell. But things turned out far different than she'd imagined. Of all the forces of the universe, the most mysterious, confounding, and humbling is the power of love. 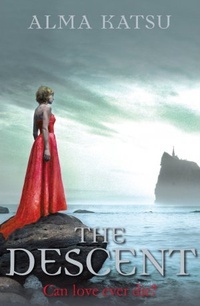 The epic story of love and loss, magic and destiny that began with The Taker and sparked a chase around the world in The Reckoning comes to a surprising conclusion with The Descent.